Air Science is proud to supply the new Center for the Future of Forensic Science (Center) at Bowling Green State University, in Bowling Green, Ohio, with two critical pieces of forensic evidence processing equipment. The Center, along with Bowling Green State University and the Ohio Attorney General's Bureau of Criminal Investigation (BCI), have combined their expertise and created an innovative opportunity for teaching and research. 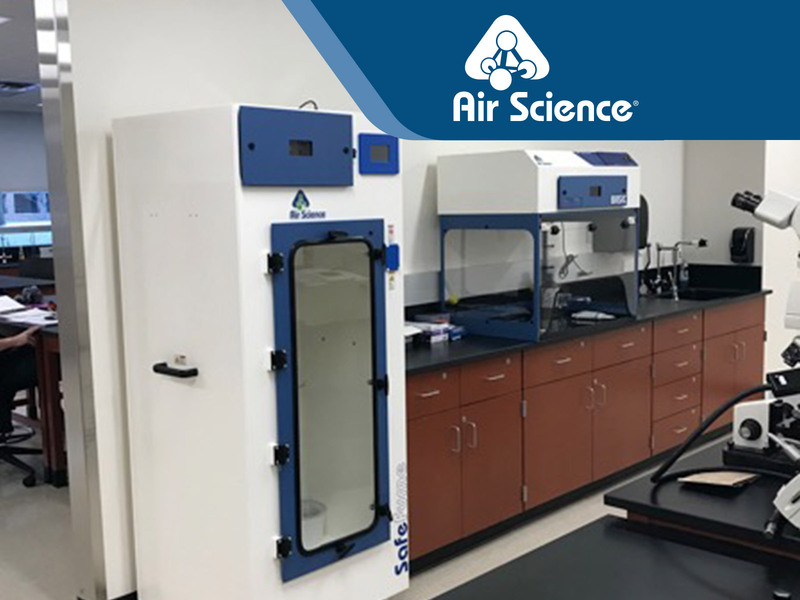 Air Science products installed in January 2019 include the Purair® Basic ductless benchtop fume hood and a large capacity Safefume™ cyanoacrylate fuming chamber. The Safefume chamber, identical to those used in working crime labs, will be used by students to safely develop latent fingerprints using ethyl cyanoacrylate vapor (CNA) in a controlled environment. The unique Air Science® Multiplex™ filtration system will protect the students during use. Now a showcase for forensic sciences serving the citizens of Ohio and law enforcement throughout the USA, the Center is under the direction of its first director, Jon Sprague, R.Ph.,Ph.D., whose team will provide educational programs for BGSU students, forensic scientists, crime scene investigators and other law enforcement practitioners from around the country. The Center will support research that will lead to new methods for processing and analyzing evidence, generate new understanding of the neurochemistry and toxicities associated with substances of abuse and much more. These efforts in teaching and research places Ohio at the forefront of forensic science. For a complete look at Air Science products for forensic sciences and laboratories click here.